In June I have two major events and because June is almost here I have to figure out what I'm going to wear! 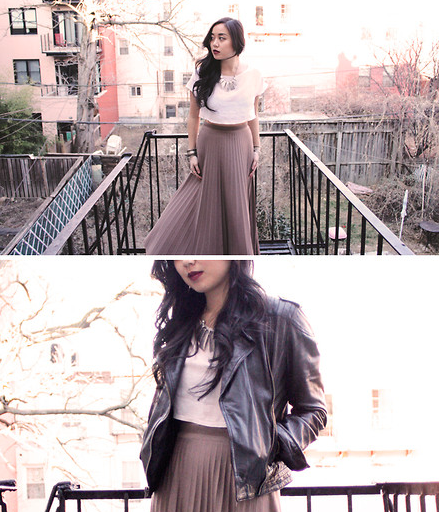 I already have an idea in my head, because I really want to wear a maxi skirt! In one of the showrooms on the press days I spotted this long green emerald sequined maxi skirt and I can't get it out of my head! While this dress may be a little bit overdressed, I can't get the whole maxi-skirt idea out of my head! If you happen to know where I can find the best maxi skirts, then don't be shy and let me know :).